You know how much of a cream eyeshadow fan I am. 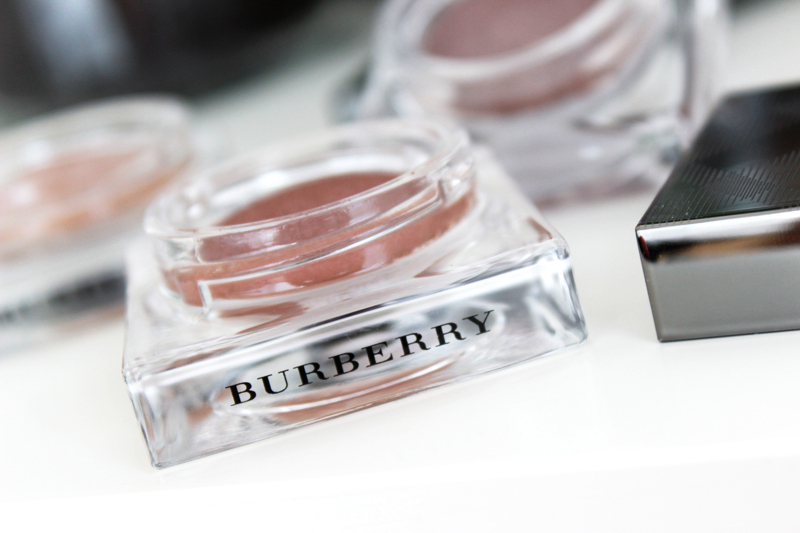 On top of that, you might also know that I'm a big fan of Burberry's beauty range. It's luxurious, timeless and rarely fails. And the campaign images are just beautiful. Recently they've come out with a new product in their range: cream eyeshadows. 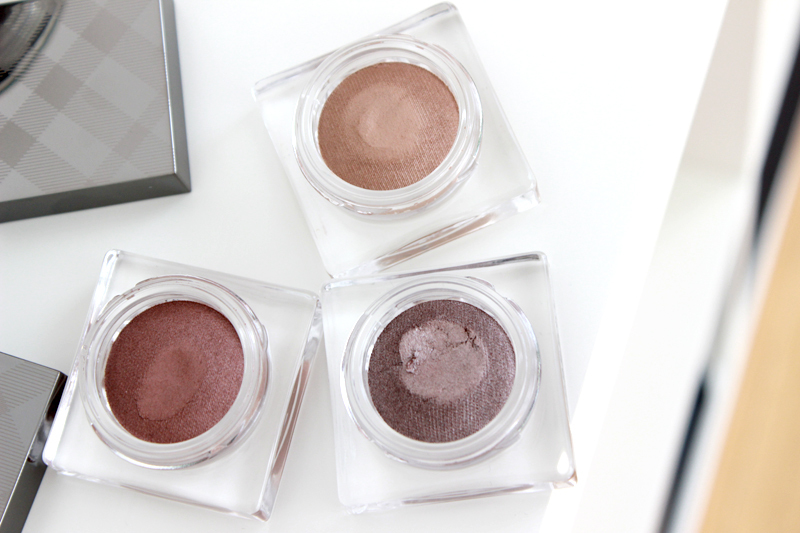 They didn't have any cream eyeshadows yet, but given that I love their powder eyeshadow formulas I was very eager to give these a go. 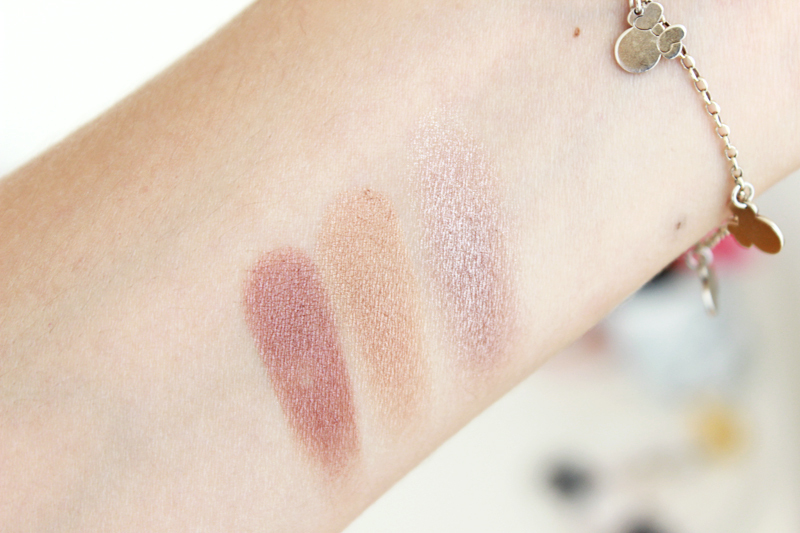 I've been trying out three Burberry Eye Colour Cream shades over the past few weeks and they've literally made it to my top Muji shelf with the rest of my favourite cream eyeshadow gang. It's a permanent addition to their range, so they're here to stay and that's a good thing! Even though they're called Eye Colour Cream, I wouldn't dub these your regular cream eyeshadow. The texture is different - it's kinda like a very dense sponge texture. I wish I could compare it to another formula I've tried, but this one is definitely drier than the Dior Fusion Mono's and also much less bouncy than Chanel's Illusion d'Ombre. I have nothing that really resembles this formula - I'd describe it as being somewhere in between a cream shadow and a powder shadow. The colour payoff varies from shade to shade, but all can be built up to a pretty opaque colour. I got the shades Gold Copper, Pink Heather & Dusky Mauve to try out - three shades that I'd definitely purchase myself too. The key with these is that Burberry was going for a subtle wash of colour kind of effect, so if you want a stronger look you'll have to layer it up. Pink Heather is a beautiful warm reddish brown shade that immediately stole my heart. I'm sure that it's probably not for everyone, but I'm a true sucker for these kinds of shades. They go really well with my green eyes. Gold Copper is a warm coppery gold shade that has the same satin finish. No chunks of glitter or crazy amounts of shimmer, but a subtle glow. 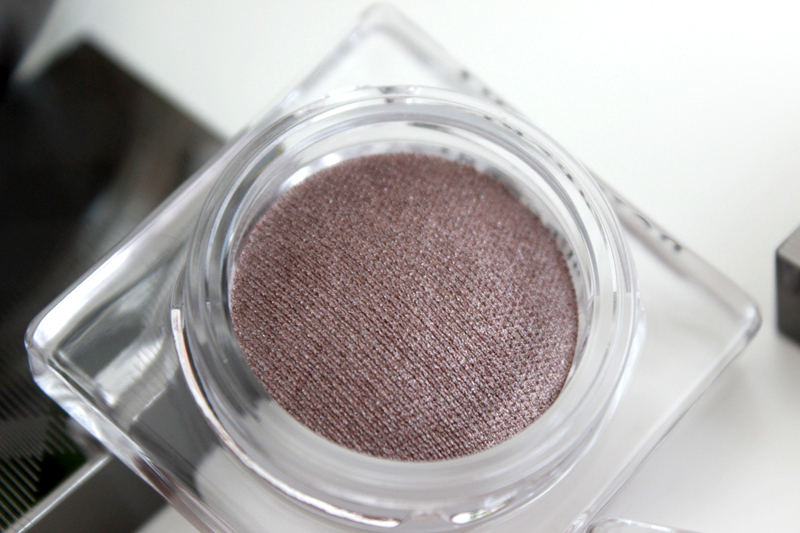 Dusky Mauve is a cool mauve taupe shade with a more shimmery finish. 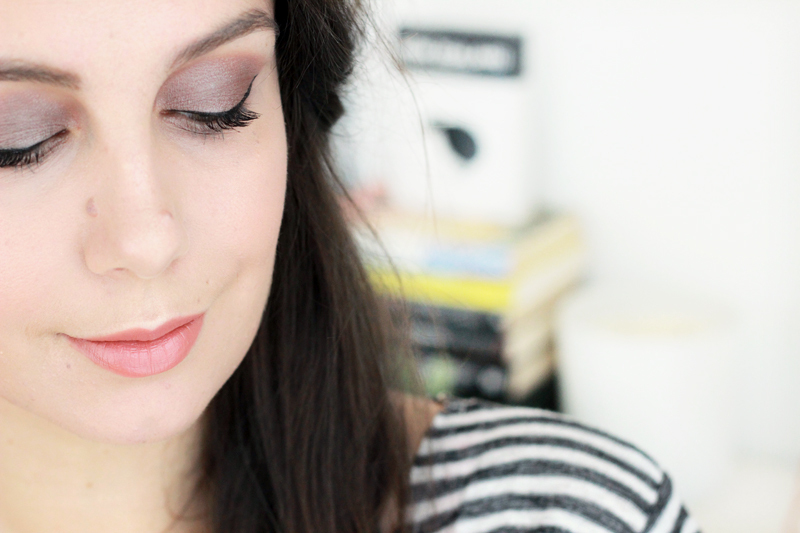 I don't say that with a negative tone by the way - I love me some shimmer! The formula of this one feels a bit creamier than the other ones too; perhaps because of the different finish? I'd wear Dusky Mauve and Pink Heather on their own easily (with Pink Heather as my fave, what did you expect..), but Gold Copper definitely needs an accompanying shade for me. I'd personally use it as a base for a warm eye look. Burberry does subtle, effortless and natural makeup really well and this is what you get with these. I like to add some more oomph to my eyes so I do like to build up the pigmentation by layering the product on. This will take you a few extra minutes, so while these would fall off the boat when I'm late for work and need something that'll work in a 30 seconds it's not that much of an issue during regular makeup days. Here I'm wearing only Dusky Mauve on my lids - you can see how well you can build up pigmentation to suit your personal liking. It's not too cool toned so I really like how well it works with my skin tone. These shadows tend to fade a in intensity towards the evening, so you might want to use a primer if you're out and about for a long day. On my lids in this look you also see Clinique's new Pretty Easy Liquid Eyelining Pen (more about that one later, but spoiler: it's seriously good!!) and Giorgio Armani's Eyes To Kill Mascara. On my lips you see Chanel's Rouge Coco in the shade Adrienne. The conclusion? These new additions to the Burberry Beauty range are definitely worth looking into, definitely if you're after that Burberry-esque effortless natural look. 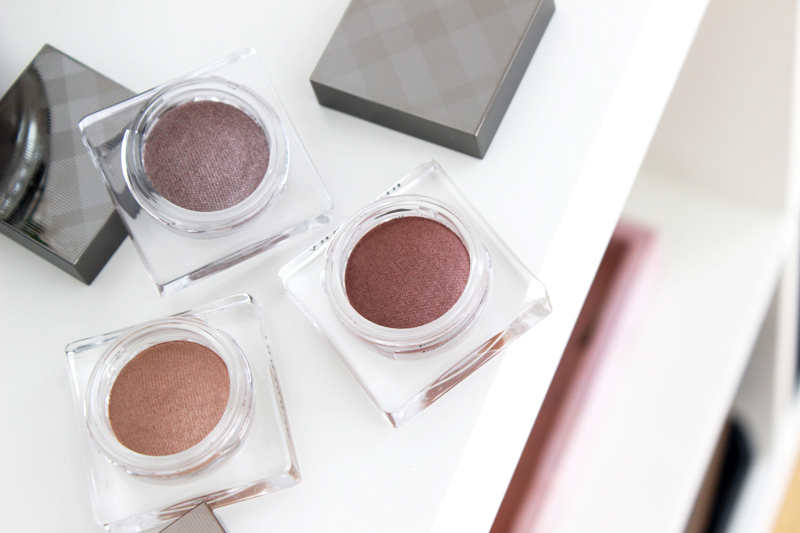 If you like a very creamy texture only the shimmery shades might be for you, but these are easy to work with either way.